(AP) NEW DELHI - Just two days after a drone strike killed al Qaeda's second-in-command, Defense Secretary Leon Panetta made it clear Wednesday that such attacks will continue as long as the U.S. needs to defend itself against terrorists that threaten America. Speaking in India  on Pakistan's doorstep  Panetta unapologetically dismissed suggestions that the strikes could violate Pakistan's sovereignty. "This is about our sovereignty as well," he said when answering questions from the audience after a speech at an Indian think tank. U.S. ends funding for Pakistani "Sesame Street"
And he was blunt about the difficulties in the U.S. relationship with Pakistan, as insurgents continue to find safe haven there, despite repeated protests from American leaders. "It's a complicated relationship, often times frustrating, often times difficult," Panetta said. "They have provided some cooperation. There are other times when frankly that cooperation is not there. But the United States cannot just walk away from that relationship. We have to continue to do what we can to try to improve (the) areas where we can find some mutual cooperation." Panetta's message is likely to reverberate in Pakistan, particularly since it was delivered in India  Pakistan's long-standing archrival. But he also publically urged India to work toward a better relationship with Pakistan, its fellow nuclear-armed neighbor. Both the U.S. and India must overcome deep differences with Pakistan to bolster peace and security in South Asia, he said in a speech to the Institute for Defense Studies and Analyses here. "Pakistan is a complicated relationship, complicated for both of our countries but it is one that we must continue to work to improve," Panetta said. "India and the United States will need to continue to engage Pakistan, overcoming our respective  and often deep  differences with Pakistan to make all of South Asia peaceful and prosperous." He said he welcomed steps that India and Pakistan have taken to normalize trade relations as key to resolving their differences and a way to help Pakistan counter extremism within its borders. But Panetta's speech comes as U.S. tensions with Pakistan continue to fray, strained by the persistent CIA drone attacks that target insurgents inside Pakistan as well as a deadlock in negotiation over U.S. shipments of supplies across the Afghanistan border. Adding to that potential discord, Panetta also urged Indian leaders in meetings Tuesday and Wednesday to consider providing additional support to Afghanistan, including trade, reconstruction and assistance for the Afghan security forces. Any increase in India's support for Afghanistan is likely to worry Pakistan, fueling fears that Islamabad's influence on the Afghans' future could diminish. The U.S. is hoping that India can play a more robust role in the war effort, particularly in the training of Afghan forces, as the number of American and NATO troops in Afghanistan continues to decline over the next year. In the past, India has cautiously helped the Afghan army, partly to avoid offending Pakistan or being drawn into Afghan security affairs. India assisted Kabul mostly with economic and development aid and has helped build up the Afghan security forces by training Afghan police officers. Training for Afghan soldiers extended to individual army officers who attended a multination course at the National Defense College in Delhi. There was no organized training of Afghan national army soldiers at Indian defense schools, but Afghan army soldiers have been attending courses at Indian military academies over the past few years. Wrapping up a week of travel across Asia, Panetta said military cooperation with India is the linchpin to America's defense plan to focus more on the region. And he said that the two nations must move beyond individual arms sales and increase both the quality and quantity of their defense trade. "For this relationship to truly provide security for this region and for the world, we need to deepen our defense and security cooperation," he said. 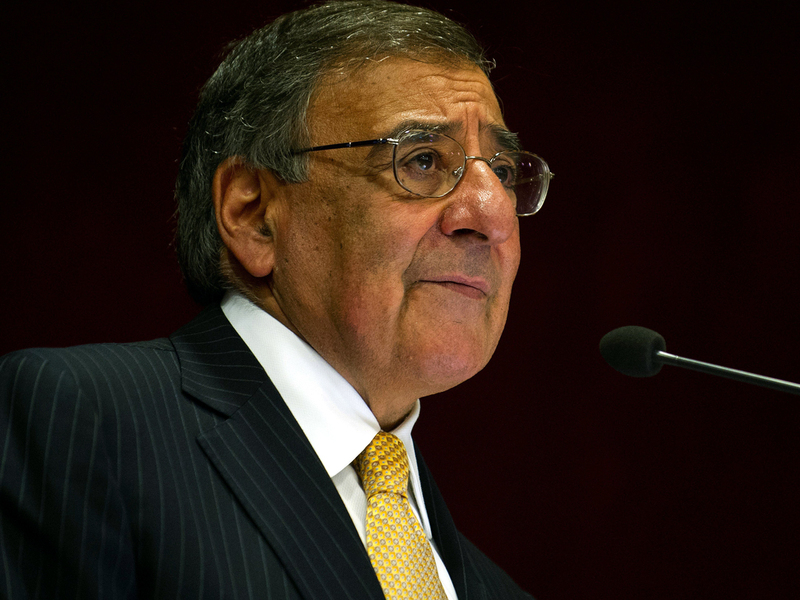 Panetta made only a passing reference to Iran in his speech and did not mention ongoing U.S. concerns that India continues to import large amounts of oil from Iran. Earlier in the day Panetta met with Indian Defense Minister A.K. Antony and discussed increased defense trade and plans to conduct military exercises together. America's defense ties with India have grown steadily since about 2000, including a substantial increase in arms sales that now total more than $8.5 billion over the last 11 years.